A friend who is an attorney called me and presented a situation I had not previously come across. 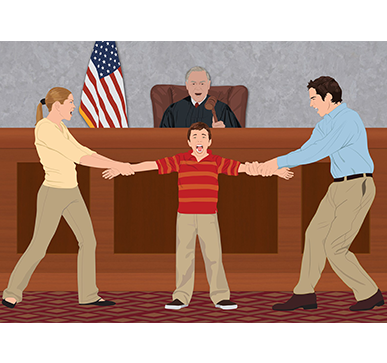 The parties’ divorce Decree gave the Respondent the right to use the exemption for the child. The child turned 18, graduated from high school and began attending college. While attending college she lived with the Petitioner, who paid for her entire support and her college tuition. Respondent paid nothing. Respondent continued to take the exemption for the child. Can he? The answer is not simple. Let’s first consider the basics. 1. 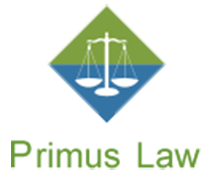 The divorce Decree does not and cannot control the Internal Revenue Service. The Internal Revenue Service is part of the federal government, and also wasn’t a party to the divorce. The divorce Decree can say which party has the right to take the exemption, it can order the parties to do whatever is necessary to allow one of them to take the exemption and not the other, but it cannot force the IRS to allow that to occur. IRC 152(e), Treasury Regulation 1.152-4 provides the circumstances in which a parent can take the exemption for a minor child. The IRS has adapted its regulations to deal with divorced parents in certain circumstances, but it generally requires that the custodial parent be the one taking the exemption while the child is a minor, UNLESS the custodial parent files Form 8332. Usually parents follow the language of the Decree and the parent the court gave that right to takes the exemption. When only one parent takes the exemption for the minor child, the IRS rarely questions whether that parent fits into the correct category, whether or not Form 8332 has been filed. If both parents take the exemption, the parent who fits under the code would get the exemption unless Form 8332 had been filed. If that was in contravention to the Decree, the parent who is supposed to get the exemption could move the family court for relief – either an order requiring the other parent to sign and deliver Form 8332 or, possibly, payment of the difference in taxes for the other parent, along with attorney fees and possible penalties. IRS Publication 501 explains that a parent can, under certain circumstances, take the exemption for a child younger than 24 years old and older than 19 years old if the child is a full time student, has lived with the parent for more than half the year, has not provided more than half of his or her own support for the year and has not filed a joint tax return for the year. NOTE: Review the actual publication for definitions as to who qualifies as a “child”, “full time student”, etc. What is the difference? There is a presumption that a parent or parents are providing the child’s support before the child is 19. Once the child is 19, the presumption is that he or she is supporting him or herself. Therefore, once the child turns 19 he or she can no longer be an exemption on their parents’ tax return unless the student status (or total disability status) is established. Does the divorce Decree in the case above apply to an emancipated child? I don’t believe that it applies to an emancipated child, but I do see that it makes sense in drafting the Decree to specify that the exemption issue only relates to minor children. However, since the Respondent cannot honestly state that the child lived with him for more than half the year and that he has provided more than half of the child’s support, I think that the Petitioner would be successful if she challenged his use of it through the IRS. What would happen if the Respondent took the Petitioner to family court to try to enforce the assignment of the use of the exemption for an adult child? If the parties stipulated to the Decree, the court might look at the parties’ intent at the time – whether they intended to have the right to take the exemption extend past the child’s emancipation. 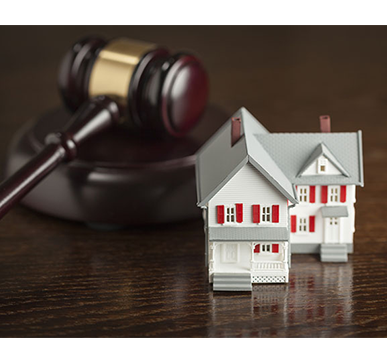 The court’s jurisdiction can, under certain circumstances, be extended by agreement of the parties. However, I believe that, unless it was specifically discussed at the time, the court would say that provision terminated upon the child’s emancipation. Of course, the cost of that litigation would very likely be several times more expensive than the benefit of the exemption.